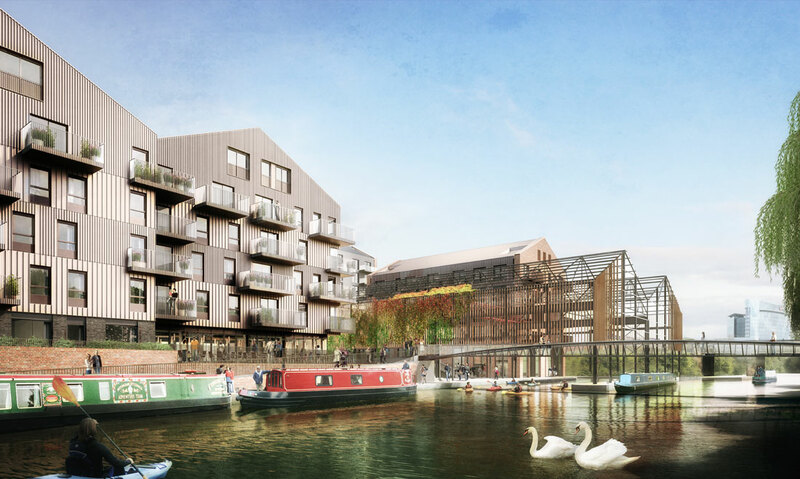 GRID and Tibbalds have submitted the reserved matters application for Phase 3 of Brentford Lock West in Hounslow. This is the last phase of the masterplan following on from two successful phases with award winning buildings by noted architects including Mikhail Riches, Karakusevic Carson, Duggan Morris and Mae. The final and largest phase was won by GRID architects in a limited competition. Accommodation includes 450 dwellings, commercial and retail space, and a canoe club. Former canal side sheds will have their heritage frames retained and a new footbridge incorporated to access the Recreation Grounds.